Last year, I bought a blueberry bush. I had heard that blueberry bushes grow really well in Texas, and since the plant was only about 8 bucks, I went for it. Last year, I didn't get to eat any of the blueberries. The squirrels or birds ate all of them. It was the saddest thing that's ever happened. 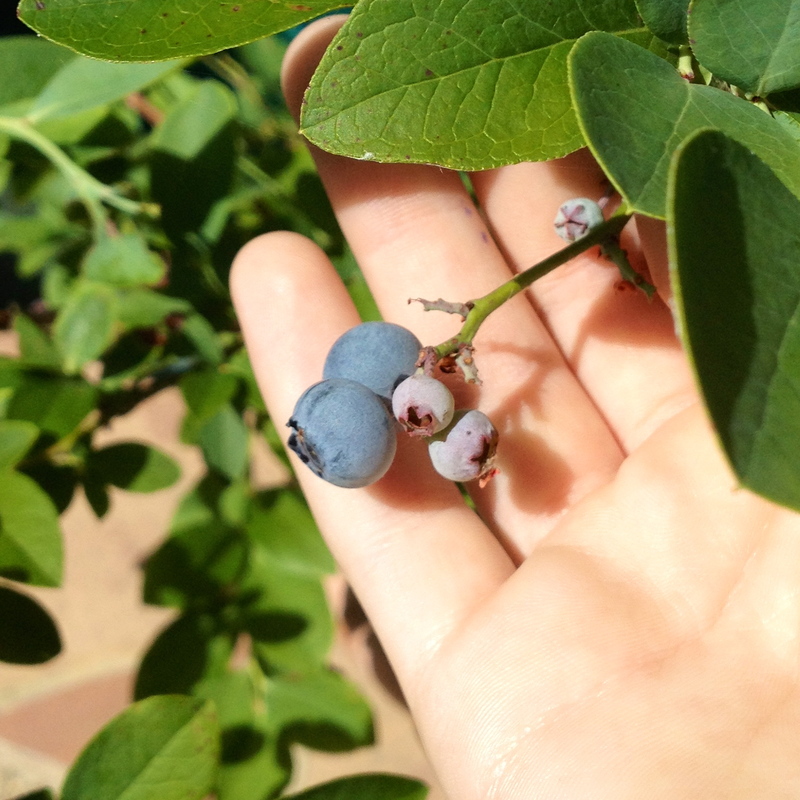 Yesterday, I went outside to find a few of the blueberries were ripe and delicious! Now, I don't by any means have enough blueberries to make anything, but eating the few ripe blueberries on the bush made me crave blueberry muffins for breakfast this morning. I've made blueberry muffins many times before, but these are definitely the best. They're so good, y'all. I adapted the delicious recipe from the Samson Family. 1. Sift the flour, salt, sugar and baking powder into a large bowl. Sprinkle over the blueberries. Beat the egg well then add the milk and oil and mix well together (don’t beat as this makes the muffins tough). 2. Scoop using a cookie scoop into buttered muffin tins or paper-lined muffin tins, filling the tins to the top. 3. Using a pastry cutter or a fork, cut the butter into the flour and sugar for the streusel topping. Cut until it resembles large crumbs. 4. Bake in an oven preheated to 425°F for 15-16 minutes, or until risen and golden. Remove from the oven, leave in the tray for 5 minutes, then flip out with a small knife onto a cooling rack.